Karnataka with Mumbai Goa Tour helps a visitor explore Karnataka, a land of scenic splendor, vibrant & colorful culture and great human endeavor. Karnataka has been land of ancient most civilization of the world and thus can be easily termed that human beings have inhabited Karnataka all these millennium. Karnataka, a cradle of several glorious empires, has been witness to tumultuous history but equally magnanimous & enriched cultural and architectural legacy. Traditional and religious ethos of Hindu tolerance is clearly palpable but, in contrast, Islamic religious intolerance gets evident in the vestiges Hampi (Pompei of India), Halebid, Belur, Badami etc. The remnants of temples and palaces of ancient times are evidences of zenith of sculptural genius. Bangalore, presently known as IT capital of India, houses lot many historical monuments like Bangalore Fort, Bangalore Palace, Tipu Sultan’s Summer Place and Bull Temple. 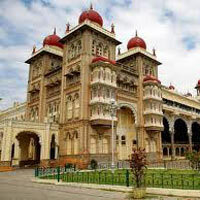 Mysore, known as cultural capital of Karnataka, is fmous for Mysore Palace and ‘Dussehra’. Coorg offers opportunity to relish scenic attractions of coffee plantations and British era’s old world charm. Along with exploring Karnataka and Mumbai, beach holidays in Goa, an erstwhile Portuguese colony, makes your India tour a lifetime experience. Day 1 Arrival at Bangalore-Bangalore sightseeing. On arrival at Bangalore, you will be transferred to the hotel. Bangalore tour guide will be introduced with you in hotel lobby. Relax for a while and then proceed for leisurely sightseeing of Bangalore. The first day Bangalore tour can be termed as ‘Bangalore Forts & Palaces’ tour as it includes sightseeing of Bangalore Fort (built in 1537 by Kempegowda, the founder king of Bangalore), Bangalore Palace (built by Wodyar Maharajas of Mysore in 1862 in Tudor style and houses a large collection of sensuous paintings and intricate carvings), Tipu Sultan’s Summer Place (a two-storied wooden structure with a small museum containing artefacts of Tipu & Hyder era) and Bull Temple (locally called Dodda Basavana Gudi and devolted to Lord Siva was built in 1537 by Kempegowda in Vijayanagara architectural style) Later in the evening, return to Bangalore hotel for overnight stay. Day 2 Bangalore sightseeing tour. Have relaxed breakfast in Bangalore hotel and drive for full-day sightseeing tour of Bangalore. As historical monuments comprising forts and palaces had already been seen on first day sightseeing, today, you will be visiting other prominent attractions of Bangalore which include Lal Bagh Botanical Garden (owing to large number of red roses, this garden, made by Hyser Ali and completed by Tipu Sultan in 17th century, is called Lalbagh), the State Archaeological Museum (also called Government Museum, built in 1876 by Colonel Sankey, is a great treasure trove of paintings, scriptures, statues, sculptures and coins), Kempegowda Museum(built on the first floor of Mayo Hall), HAL Aerospace Museum, NIMHANS Brain Museum, Iskcon Temple & Vidhana Soudha. Later in the evening, return to Bangalore hotel for overnight stay. Day 3 Bangalore-Srirangapattana-Mysore (150 kms/ 03 hrs). Having enjoyed breakfast in Bangalore hotel, depart for Mysore, the second largest city of Karnataka. 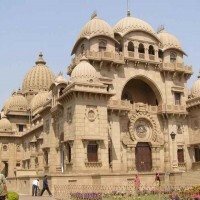 Mysore is said to be cultural capital of Karnataka. On the way to Mysore, you will reach Srirangapattana. In Srirangapattana find the remains of the fort, Sri Ranganathaswamy Temple , ruins of Tipu Sultan’s palace (known as Daria daulat Bagh & constructed of teak wood by Tipu in 1784), the place where Tipu Sultan’s body was found in the battle field and Gumbaz (tomb and mosque built by Tipu). Having seen the historical and cultural monuments of Srirangapattana, proceed for Mysore. 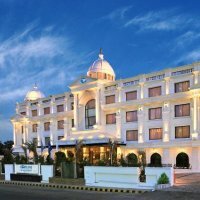 On arrival at Mysore, check in at the pre-booked hotel. Have lunch, relax for some time and move for visiting Mysore Palace, the prime tourist attraction of Mysore. Within Mysore Palace is Jaganmohan Art Gallery. Jaganmohan Palace was once a royal palace that has been converted into a museum and art gallery portraying diverse variety of paintings and miniatures of early 19th century. Having seen the palace, you can either visit Vrindavana Garden or explore local market of Mysore. Later, return to Mysore hotel for overnight stay. Day 4 Mysore - Ooty (130 kms/ 03 hrs). Have scrumptious breakfast, check out from Mysore hotel and proceed for Ooty. On arrival at Ooty, check in at the pre-booked hotel. Spend the rest of day in leisure, spotting scenic beauty and various gardens in Ooty. Overnight stay has been planned in Ooty. Day 5 Ooty- Coorg (225 kms/ 05 hrs). After relaxed breakfast in Ooty, you will be picked up from Ooty hotel and driven to Coorg (Kodagu). Ooty is in Tamil Nadu and Coorg in Karnataka, a province of India. On arrival at Coorg, check in at Coorg hotel. Having relaxed for some time, either you can stroll around or can proceed to explore Medikeri. 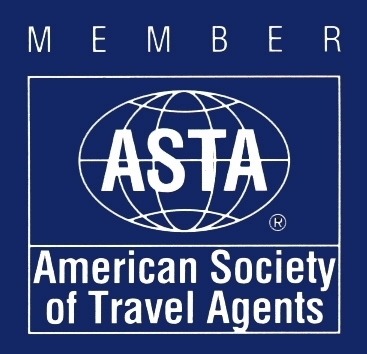 The experienced and informed English-speaking driver will help you explore and know the place. In addition to natural beauty, Coorg takes a tourist to nostalgic by-lanes of colonial British past. With several preserved colonial-era buildings and architecture, visit of Madikeri in Coorg offers a feel of past stepping along modern day development. Spend evening in leisure and have overnight stay in Coorg hotel. Day 6 Coorg-Hassan (150 kms/ 3 hrs)- Sightseeing tour of Belur & Halebid. Having enjoyed delicious breakfast in Coorg hotel, depart to Hassan, a modern district of Karnataka. On arrival at Hassan, check in at the pre-booked hotel. Hassan city though has least of heritage but Belur (40 kms) and Halebid (20 kms) are extremely rich in terms of ancient monuments. After relaxing a bit Hassan hotel, proceed for visiting Belur and Halebid. In Belur, witness Chennakeshava Temple and Viranarayana Temple of the Hoyasalas. After Belur, visit Halebid. Earlier Hoyasala capital of Dwarsamudra is today known as Halebid and has Hoyasaleshwara Temple as prime tourist attraction. After visiting Belur and Halebid, later in the evening, return to Hassan hotel for overnight stay. Day 7 Hassan-Hospet (330 kms/ 7hrs). After a relaxed breakfast in Hospet hotel, drive to Hampi. Karnataka has been land of several mighty empires and dynasties. 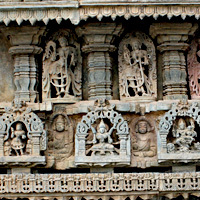 Hoyasala dynasty and Vijayanagar Empire have been prominent among them. Halebid and Belur present the monumental heritage of Hoyasala Empire where as Hampi and Badami unfold Vijayanagar Empire’s monuments. Along with Hampi tour guide, visit and explore the monuments of golden era of Vijayanagar Empire. Prominent monuments of Hampi are Lotus Mahal, Elephant stables, Krishna Temple, Kodandarama Temple, Vitthal Temple, Raghunath Temple and Hazara Ram Temple of Hampi. Having seen the marvelous pieces of architecture of Hampi return to Hospet hotel to spend evening in leisure and have overnight stay in Hospet. Day 9 Hospet-Badami- Pattadakal-Aihole-Badami (235 kms). Today you will have to depart from Hospet hotel early, after taking breakfast. The reason being, you have to visit three important and historically significant places of Badami, Pattadakal and Aihole and during the course of visiting these places, you will be covering distance of about 235 kms. Having delicious breakfast in Hospet hotel, proceed for visiting three important and nearby historical sites with rich remains of ancient monuments. Badami was called Vatapi in ancient times and famous for temples chiseled out of mountainous rocks. 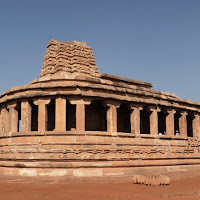 The Chalukya rulers built and developed Vatapi as their capital and as a result, in 6th & 7th centuries great architectural development had been seen in Badami, Aihole and Pattadakal. Various ancient temples and their intricate architecture are the prime attractions of Badami tourism. After visiting Badami Caves, Mahakuta Temple, Monuments of Pattadakal, Durga and Lad Khan Temples of Aihole, return to Badami hotel for overnight stay. Day 10 Badami –Goa (260 kms/ 06 hrs). 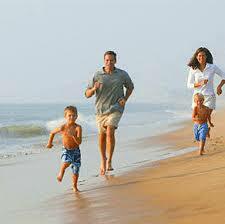 Have breakfast in Goa hotel and spend the day in leisure on the beaches of Goa. Have overnight stay in Goa hotel. 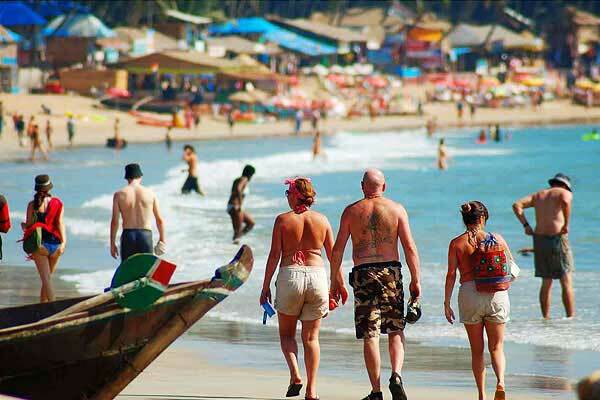 Enjoy the morning in Goa and in early afternoon, depart for Goa airport to board flight for Mumbai. On arrival at Mumbai, you will be received at Mumbai airport and transferred to Mumbai hotel for overnight stay. Day 14 GoaMumbai sightseeing tour. After a relaxed breakfast in Mumbai hotel, your Mumbai tour will commence from 8 am. The Mumbai tour guide will meet you in hotel lobby and take you for guided sightseeing tour which will primarily include Elephanta cave temples (one has to reach there through sea route by a large boat/ steamer/ ship). After returning from Elephanta (around 1 pm), you will be visiting Prince of Wales Museum, Hanging Garden (seen on the way from a distance), Dhobi Ghat, High Court building (seen on the way from a distance), Marine Drive, Gateway of India and Mani Bhawan. 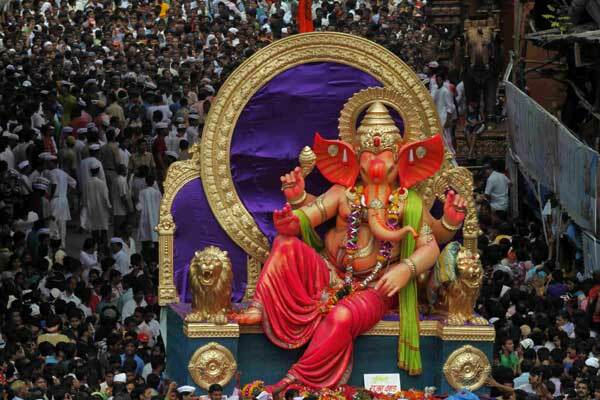 The emphasis will be mainly on 4 destinations- Elephanta, Prince of Wales Museum, Gateway of India and Mani Bhawan. Later in the evening, return to Mumbai hotel for overnight stay. Have fresh breakfast in Mumbai hotel, spend morning in leisure and then check out to depart for Mumbai international airport to board flight for your onward destination. Kodagu region of Karnataka is one of the most panoramic hill stations of India. The scenic splendour of the Western Ghats with undulating meadows and hills was called as Coorg or the Scotland of India. The region had been favourite place for British officials to relax amidst nature. The region is famous for coffee estates and orange orchards. Coorg is cornucopia of colonial heritage. There are many must-see tourist destinations around Kodagu/ Coorg. The 19th century fort of Madikeri has several old buildings, a temple and a chapel, some of which are now converted as museums. Two life-like elephants made out of mortar stand in their majesty inside the fort. The ancient Raja's Seat is located within a beautiful garden which presents an enchanting view of the valleys below. Belur, about 40 kms from Hassan and on the banks of river Yagachi, is home to Channakeshava Temple, built by the Hoyasalas to re-commemorate the victory over the mighty Cholas. The construction of Chennakeshava Temple, dedicated to Lord Keshava, commenced in 1116 AD and took almost 100 years (a century) to complete. 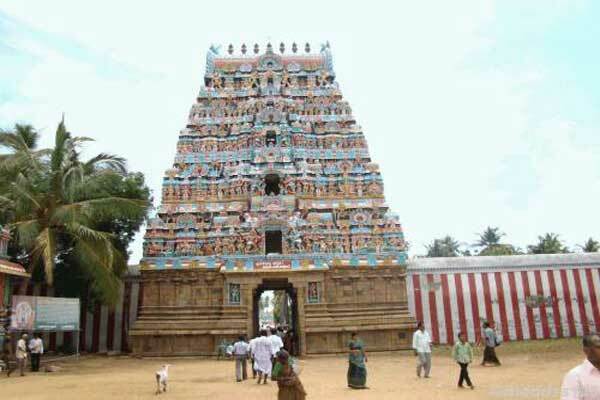 The Chennakeshava Temple, known for its intricate and sublime carvings and sculptures, is a live temple as people still visit it to worship. Delicate carvings of astonishing details on Narsimha Pillar of the temple attract attention of every visitor. While visiting Chennakesava Temple in Belur, one must also see Viranarayana Temple. Around Hassan, about 20 kms away, lies ancient historical town of Halebid. Halebid, an ancient capital of the Hoyasala empire, was founded in 11th century. In ancient literature, modern Halebid was known as Dwarsamudra. Though in golden era of the Hoyasala Empire, Halebid was home to many magnanimous architectural marvels but, during 1311-1327 AD, the Muslim invaders of Delhi Sultanate attacked, pillaged and destroyed various religious places (temples). The famous Hoysaleswara temple, which today is the centre of attraction, however survived the destruction. One of the striking aspects of secular Hindu ethos is very much visible here in the form of Jain bastis. 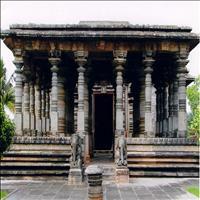 Hoyasaleswra Temple, dedicated to Lord Shiva, is an important historical monument and its history dates back to 1121 AD. Total Meals: 20 (Breakfast-14; Lunch-03 & Dinner-03). Total night stays: 14 (Bangalore-02; Mysore-01; ooty-01; Coorg-01; Hassan-01; Hospet-02; Badami-01; Goa-03; Mumbai-02). Along with breakfast at all places, 03 lunch & 03 dinners in Goa hotel. A visit of Brain Museum will be a lifetime experience showcasing India’s quest to unravel the eccentricity of brains. Do watch Mysore Palace in the night when it is flooded with decorative lights. Evening exploration of sandalwood market of Mysore. A visit to Art of Living International Centre in Bangalore to experience traditional way of life of Indian ascetics and holistic cultural value-system of the Hindus. Dine in Lalitha Palace in absolutely Indian style amidst sheer luxury with simplicity. Do rejuvenate yourselves in Jiva Spa by the Vivanta or in Soukya Health Centre in Bangalore. Prior appointment is a must. A visit of Elephanta cave temples. Bangalore:Bidriware, blackened white metal with silver inlay, which are Karnataka’s best-known contribution at India stalls in any fair. Bidriware is crafted into ornamental bowls, boxes, hookahs, among other things. Mysore: Famous for ‘ittras’ (sweet smelling perfumes), extracted from flowers, sandalwood and rosewood. Daily use articles of intricately carved rosewood and sandalwood. Luscious silks, slippery chiffons, and crepe are famous products of Karnataka. Bangalore: Devangere Benne Dosa, Koli Saaru (chicken curry- Kannada Style), Maamsa Saaru ( Mutton Curry- Kannada style), and Uppittu. Coorg (Kodagu): Taste regional Kodava dishes, such as Pandhi Barthadh (pork dry fry) and Kadambuttu (rice dumplings). Mysore: Do taste Mangalorean sea-foods, particularly Lobster Balchao. Goa: Feni, a local alcoholic beverage of Goa.